Rising food and energy prices, increasing unemployment and unhealthy, unsustainable lifestyles are major concerns for today’s society. We believe that the development and implementation of efficient, technologically-advanced urban farms are a key part of the solution. Farm Urban was born out of the Life Sciences Department at the University of Liverpool. We aim to link leading scientific research with local food production. By taking science fresh from the lab and implementing it at the farm in the heart of urban communities, we aim to change both how we do science and how we farm our food. We develop and test the most efficient ways to grow food in urban environments, focussing primarily on aquaponics. The systems we use, along with the knowledge we acquire, will be made available for others who wish to introduce urban farms into their communities. 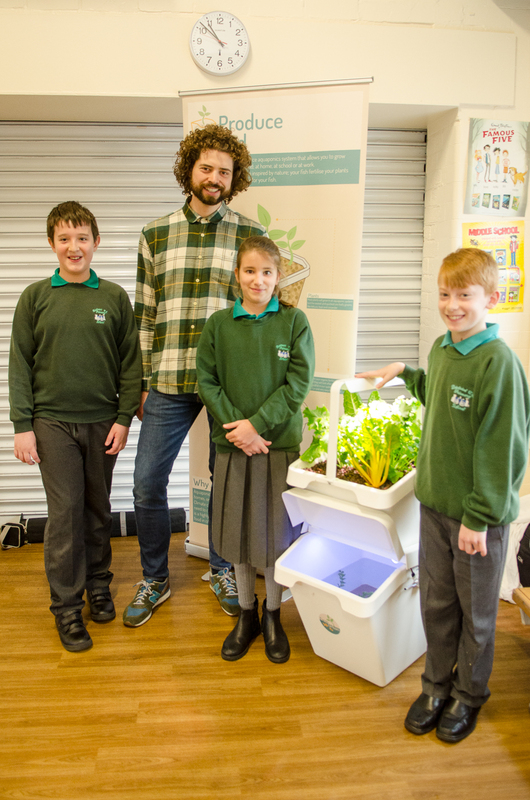 Aquaponics provides a focal point around which communities can come together. We work alongside groups as diverse as schools, allotment owners, residents’ associations, hospitals and universities to develop programs and education around sustainable urban living. We install and manage innovative, high-tech urban farms that produce low cost food in a sustainable and cost-effective way. These farms can regenerate communities, provide jobs, promote health and lower carbon emissions. 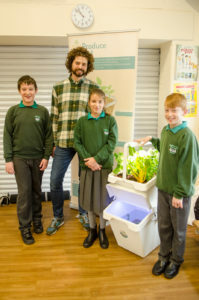 In collaboration with the UTC and the University of Liverpool, we have also developed the Produce Pod; an interactive aquaponics system and living lab, together with an associated STEM club, which enables secondary school students to participate in real, collaborative scientific research, and develop skills and understanding in ecology and associated subjects. You can see more of the projects we are working on, on the projects page. Food for the Future, for Everyone. Eat, Grow and Learn Together. People: Engage and Inspire people in sustainable food production, health and nutrition. Learning: Empower people with knowledge, skills and resources. Science: Research and develop the most innovative and sustainable ways to grow food in urban environments. Service: Deliver robust and efficient systems for urban food production. Impact: Promote a healthy and sustainable way to live together.